Under construction. Brand new two story home ready in November. Spacious open floorplan with 4 bedrooms, 2.5 bathrooms. Kitchen has large island, Expresso cabinets, Granite countertops, laminate throughout the main living areas and tile in the wet areas. 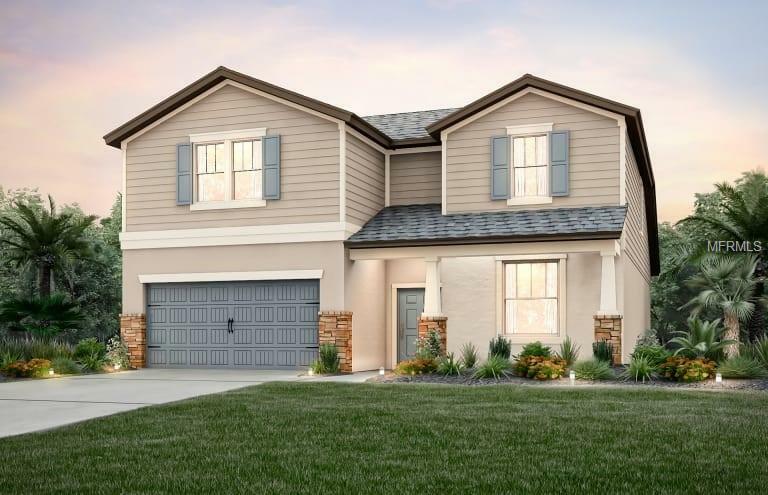 This beautiful Citrus Grove home design is located in Riverview at Magnolia Park. Magnolia Park is in close proximity to state parks, Brandon entertainment venues, shopping centers, and restaurants. The community features multiple tropical community pools, gated access at all entries, playgrounds, a basketball court, and best of all - included lawn maintenance and no CDD debt. Please note that when model pictures are used they are for illustration purposes only. Elevations, colors and options may vary.